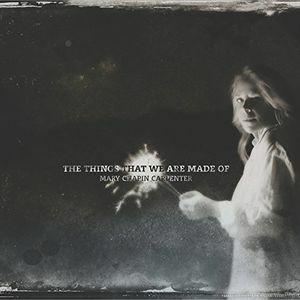 The Things That We Are Made Of is the 2016 album by renowned and beloved singer, songwriter and performer Mary Chapin Carpenter. Produced by 2016 Producer of the Year Grammy-nominee Dave Cobb (Jason Isbell, Chris Stapleton). Rolling Stone says ‘the entire album finds the songwriter at her most thoughtful and also at times sweetly whimsical, perfectly capturing the buoyant spirit of her early successes and also serving as a reminder that she remains one of the most grounded, sentient songwriters of her generation.’ Includes “Something Tamed Something Wild”, ‘What Does It Mean To Travel”, “Map Of My Heart”, “Note On A Windsheild”, the title track and more.